The strategic, regulatory and reputational risks tied to non-financial issues, such as Climate Change, Human Rights and Cybersecurity, are increasing. As a consequence, stock exchanges worldwide require non-financial reporting as a listing rule, with the potential to impact over 45,000 companies worldwide. CEOs, CFOs and boards now need to meet the demands for more transparency from investors, regulators and the public. The United Nations Sustainable Development Goals (SDGs) are being positioned as the globally accepted vehicle for communicating these risks and opportunities. How can companies seize the opportunity that the SDGs provide to meet these evolving stakeholder demands? This webinar gives you first-hand insight into why stock exchanges are driving the demand for transparency, and how your company can capitalize on the opportunity that the SDGs present. Want to unlock the seven secrets of a perfect materiality process? 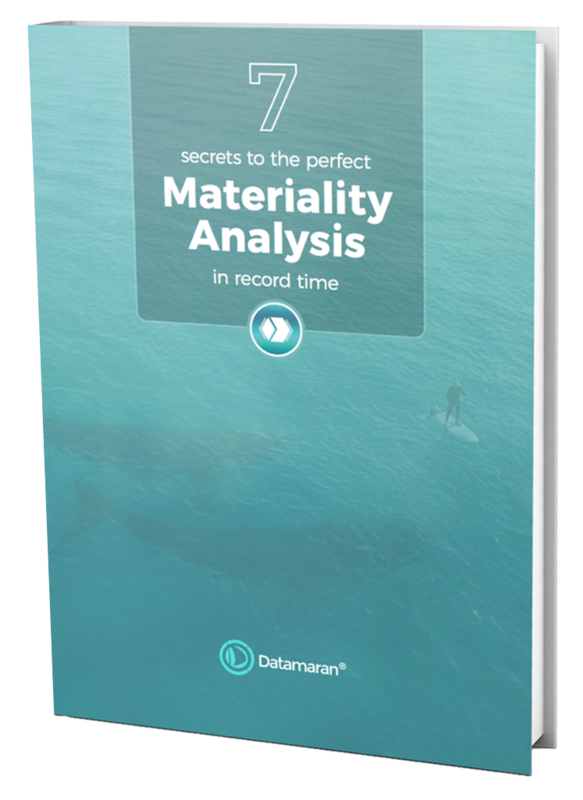 The 21-page e-book gives you an in-depth and step-by-step guide on how to conduct a robust and time efficient materiality analysis in seven easy steps. Whether you’ve done your assessment before or only thinking of starting your first one, with seven key insights you will be able to create the perfect materiality analysis for your organisation.